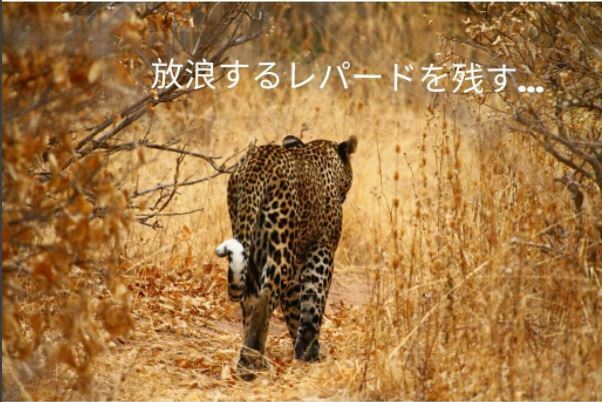 One commonality of the various questions I get is, why Wandering Leopard? With a dry sense of humor and a sense of wandering around, it just fell into place. Another friend said I was a Leopard maniac (in a good way) since I wanted to make sure the trip was about the F31. Put it together and again, my sense of humor was trying to make it sound Ronin-ish. wasn’t as bad, but I guess there is more emphasis on vagabond. LOL! Pertaining to my M30 history, in 2005, my black M30 covered traveled so much. I went to events, shows and meets. 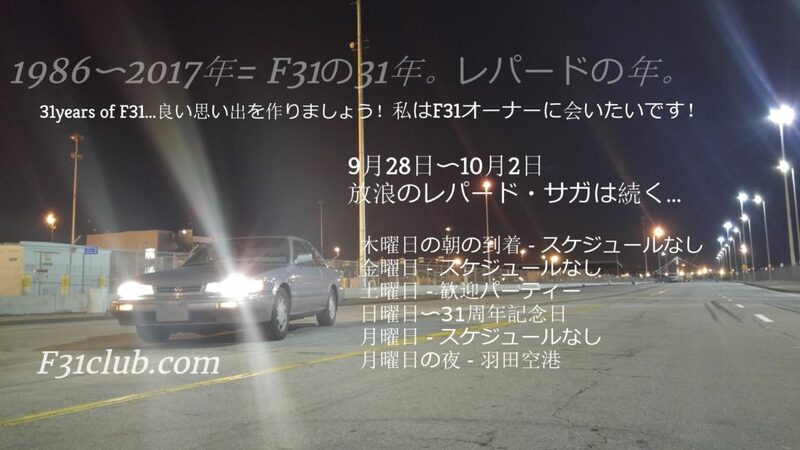 Everyone knew that I always made effort to meet up with people in the name of F31club and if I could drive my M30 there, I would. This doesn’t count the times I drove from Seattle to a HIN or Import Showoff in LA, then after the show drive back in time for work on Mondays (in my EK civic hatch and my 240 fastback). So it is also a personality trait. Current influence. Rohan aka Berserkaru came to the US from Australia. 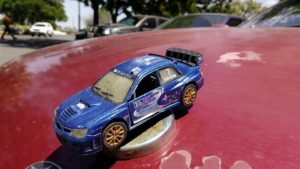 He bought a Subaru SVX and traveled pretty much Western United states (California, Nevada, Oregon, Washington…) and drove the car to every spot! Along the way, he visited with people, stopped at places of personal and automotive significance and traveled on his own. I was simply amazed by this. That was definitely inspirational and even was great to part of that journey. What makes WL isn’t just traveling. What makes WL is also the mentality. There is both motivation and inspiration intersectionality. There is a sacrifice of time and money and at times it isn’t efficient. I love seeing things and I do my best to juggle my priorities, business and pleasure. There’s goals and objectives to be met. Sometimes it is rational and sometimes I do things that are irrational and spontaneous. Wandering Leopard style is based on many concepts and ideas. I started to theme my travels and experiences. Superficially, it is based on my dry sense of humor, but if you analyze the purpose, then you will see there is depth to most of these experiences. 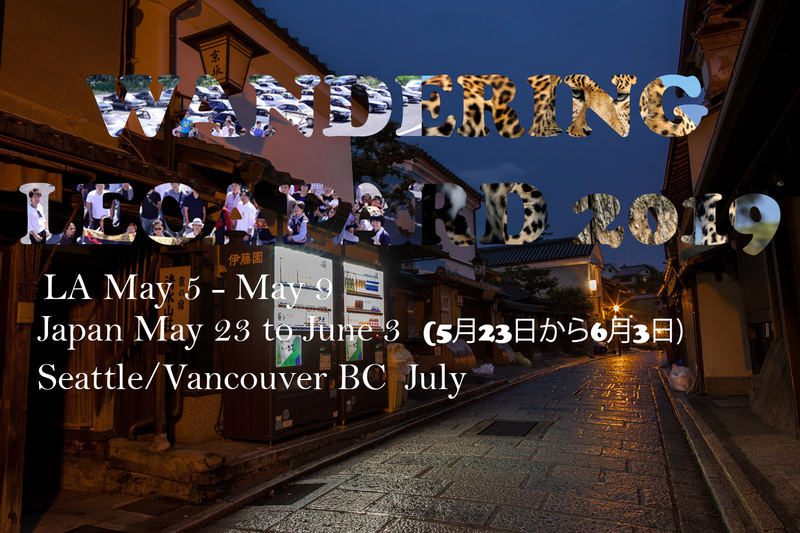 There is also a component of Wandering Leopard that is also about getting lost. My values, principles, personality, and perspective intersect to be the constructs and the framework for Wandering Leopard. 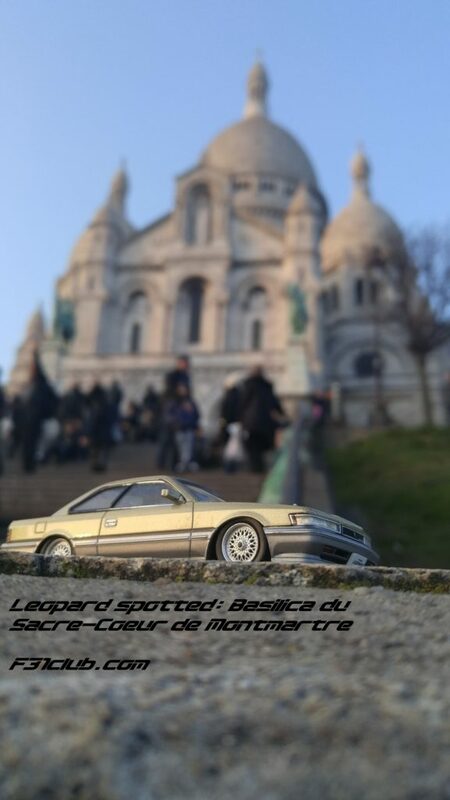 Wandering leopard embodies a car enthusiasts (mainly leopard) that intersects with history, religion, culture and subculture. View with F31/ Automotive lens. 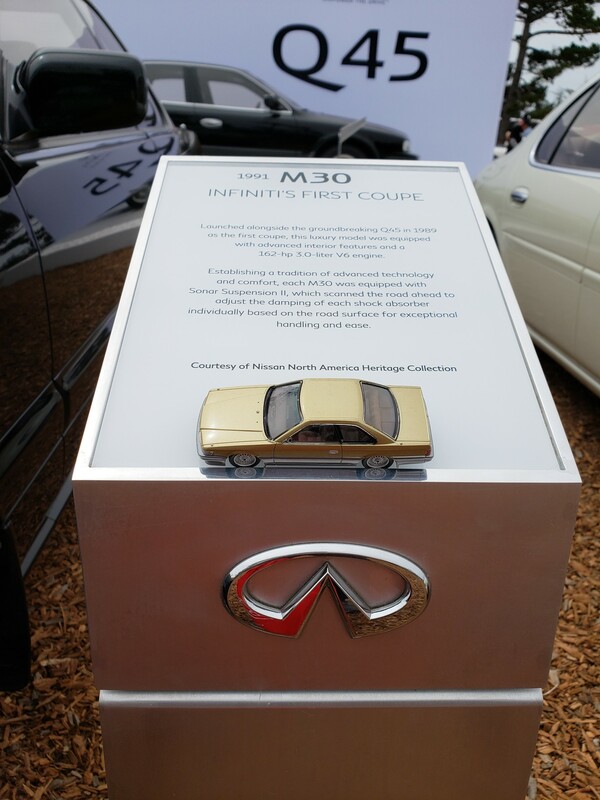 Always has to be in relation to F31club, F31s (Leopard or M30), and/or Infiniti. This is a way to pay homage. It is about the people. Superficially it is about the car, but a deeper look, I make it about the people that are/were attached to the F31s. Again, paying homage through an specific lens. Cultural – Part of WL is knowing the culture and your place in it. This goes for the degrees of cultural awareness (Parochial, ethnocentric, synergistic and participatory 3rd culture), cultural humility approach and interactivity (being comfortable with “not knowing”, self reflection and open mindedness to learn). 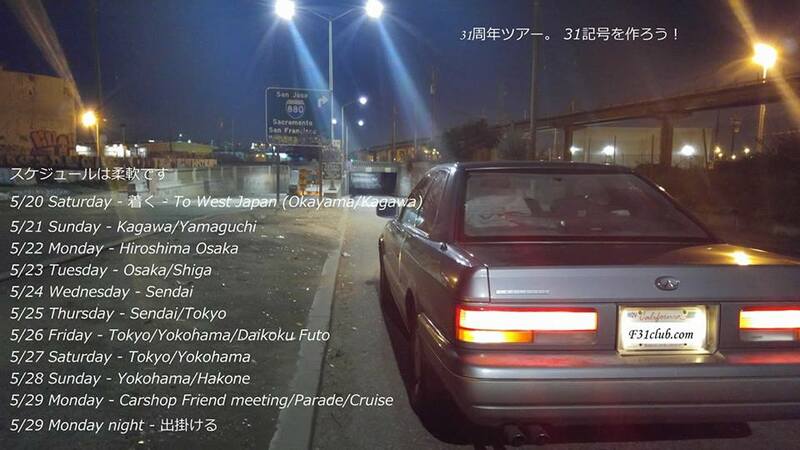 Additionally, going further into the subculture and understanding at that level (example subculture = car culture). Historical importance. Part of any society, culture and subculture, is history. I try to avoid Recency bias and historical ignorance. When I mentioned subcultures, this includes the car culture and sub sector of that is OG F31club, which as mentioned above, about the people. Religious – while I do not specifically devote a trip to A religion, I feel that part of the spiritual journey is always taking an inclusive approach. While I grew up Roman Catholic, I have taken many aspects of other belief systems for myself. If religious institutions are open, I often times find myself immersing myself in the religious history. Japan is prominent in Shintoism and Buddhism for example. Places of significance. This is a vague and subjective term to me. I often try to find places that are obviously significant, but also places that might have an attachment in other ways (Infiniti dealerships) or a place that has more personal value rather than the historic/religious/tourist context. WL mentality. Motivated Irrationality – My motivational reasonings are usually goal oriented to what I want to accomplish. To meet those objectives are usually things that interest me. Sacrifices. These trips are not an exact science. While people are good at time keeping, I tend to go over if for some reason things evolve. Example – A trip to a shop might lead to in depth conversations with people. This tends to be a sacrifice of time. Sacrifices in time can also mean the distance I would travel. But sacrifices is also monetary. Extreme, Irrationality and spontaneity. I will push myself to extreme to reach a goal. This trait is in many things that I do, but this sets me up for pushing myself. Sometimes there’s no rationality. I am also spontaneous if I feel I could benefit from it. Plan ABCD – Since WL trips are packed, if something fails to materialize or something comes up, time (in general) is not wasted, so there are backup plans. Symbolism, Abstract and imaginative. I like to make sure that WL has multiple layers of meaning, sometimes that can be manifested in symbolic gestures and projection. At its simplest form, symbolic thinking. When it comes to abstract and imaginative, I like to think outside the box. This was evident in France and with WL mascot, Golep. Cannot be replicated. While I do go over the same places, I tried to make every trip different and unique. Theme. Sounds corny, but I do love to theme my trips. 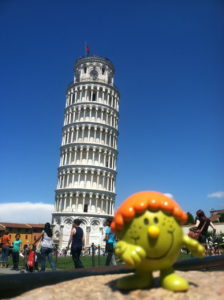 These trips might seem random, but they are well thought out and so the theme has to match at some level. Who or What is GoLep? 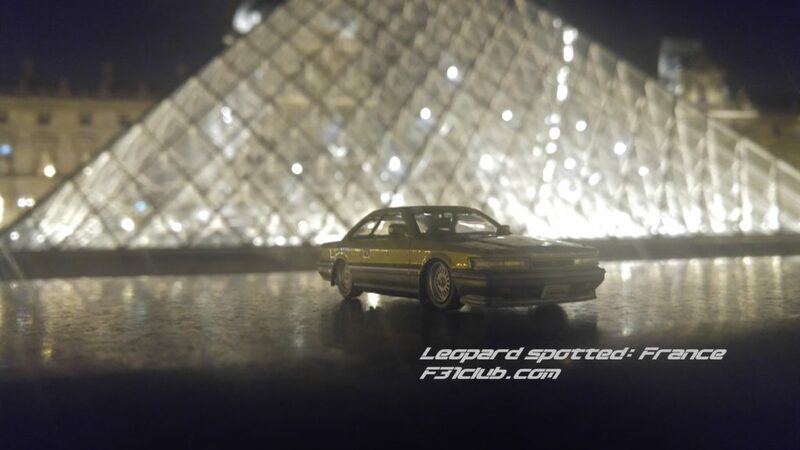 It is a 1/43 diecast model of a Zenki F31 Leopard. In some sense, it is a projection of myself and F31club. 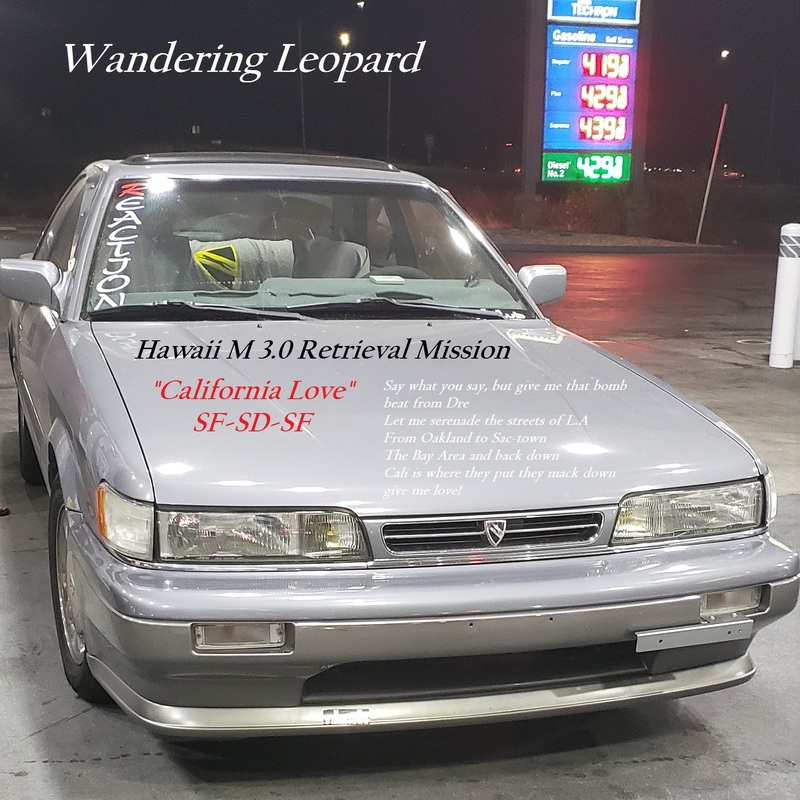 Additionally, it is a creative way to imagine an F31 in a place that will most likely will never see a Leopard or M30. 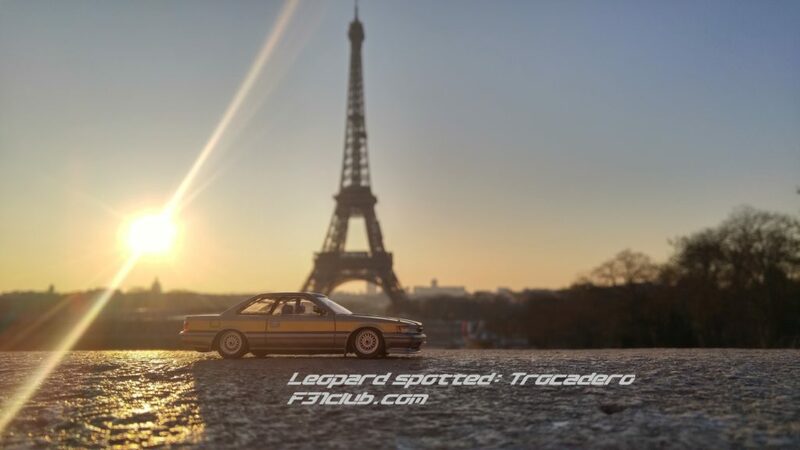 “If I lived in Paris, I’d be taking pictures of my M30 in front of the Eiffel Tower“. While America rarely deals with mascots besides outside of sports teams. I thought about it for a minute and I remembered a couple things. 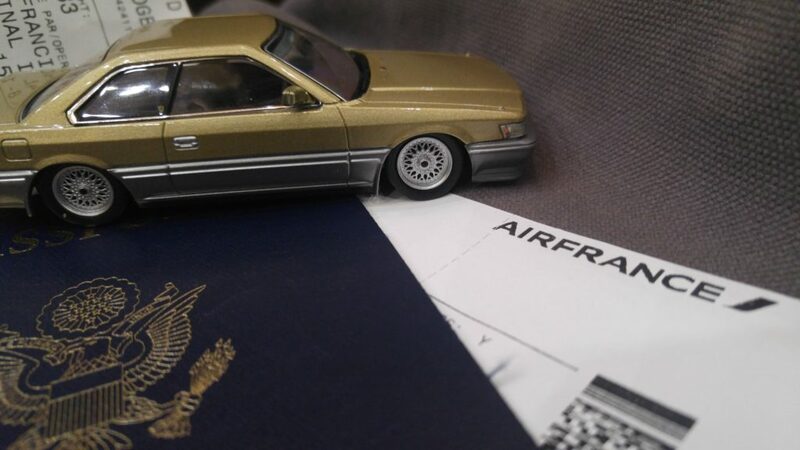 When Rohan (Berserkaru) was traveling in the US, he had a die cast car as a hood emblem. 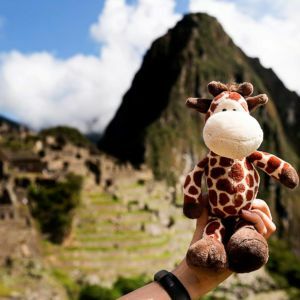 I also read a few blogs that people used their creativity and in some cases, projected themselves onto their stuff animals and took pictures when traveling or having the stuffed animals sent “on a vacation”. I thought about it and I wondered what would be a good way to show F31club or F31s in places where we do not typically see them. 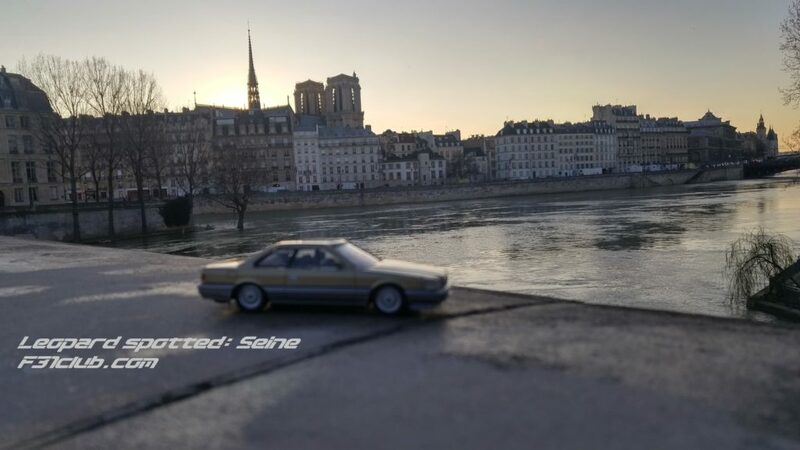 After thinking about it, I decided to use the 1/43 scale model as a Traveling Mascot. Golep is short for Gold Leopard. I noticed that some Japanese would abbreviate 2 words to make a shorter one. Example: digital panel = digipan. 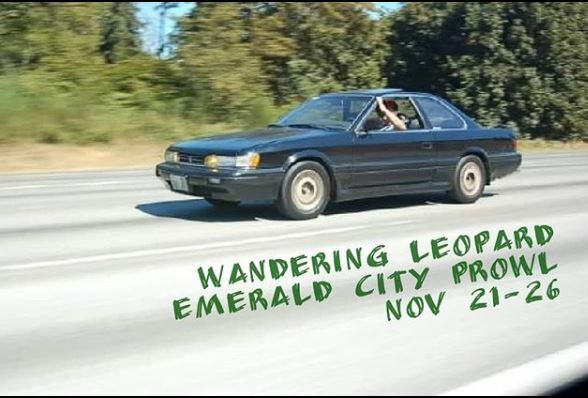 I also used Golep as part of the Infiniti Dealership Challenge when I went to Vancouver BC and and Seattle when I didn’t drive my M30. 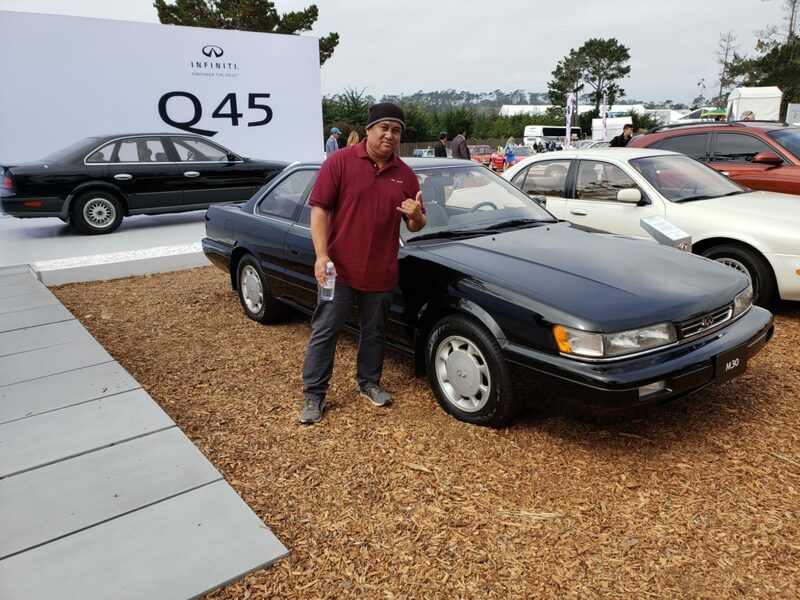 Again, part of the rules is taking a picture to show you were there, best with the M30, but its about documenting people going to the Infiniti Dealerships. So any representation such as selfie or object projection is sanctioned. To give my little guy some credibility, he would have to see his big brothers. I can be an extremist at times. When I get motivated, I can be overly dedicated to that topic or object, especially if I feel it serves or can represent something of significance. Sometimes I do these things ambiguously (self serving and for the bigger picture/greater good). October 2016 was the first time I went to Japan with the sole purpose of meeting the Leopard community. Before Facebook, many of us on F31club were on their homepages in the early 2000s. 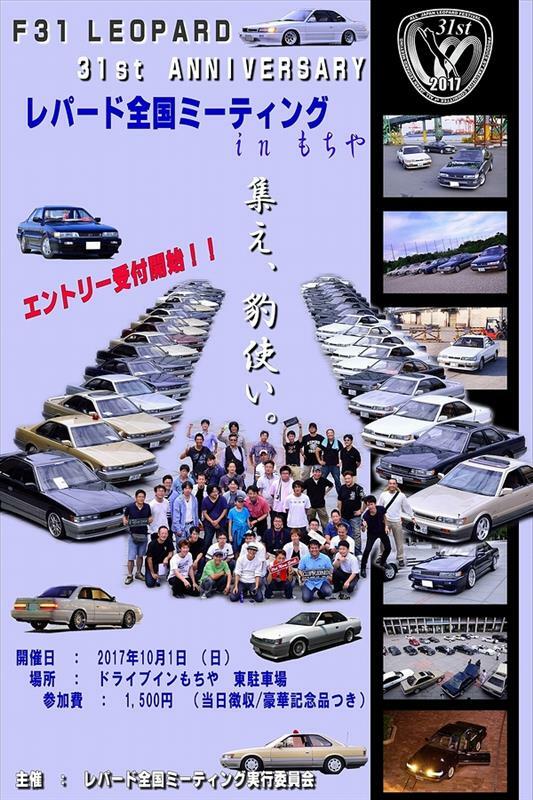 I wanted to take it a step further and meet many of them because I respect what they have done and idolized their cars. 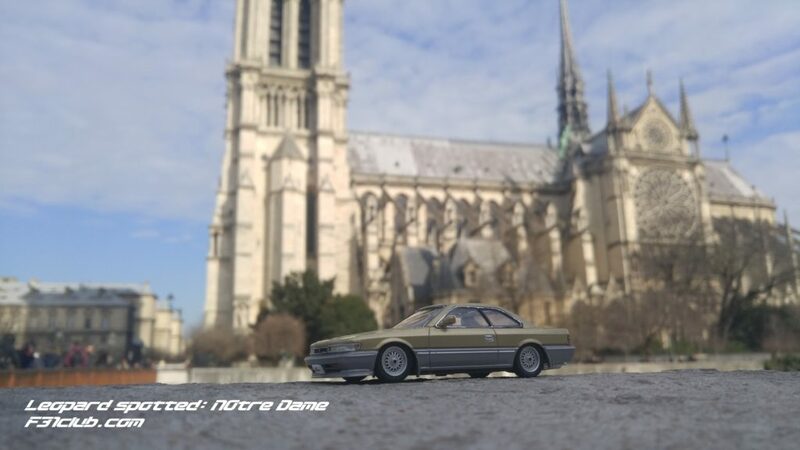 Tanaka-san mentioned to me that 2017 is important because 31 years ago, the Nissan Leopard was released. So you see the 1986-2017= 31 years of F31 Leopards. The respect and symbolism for the number 31 was important and interesting that these guys cared enough to keep track. 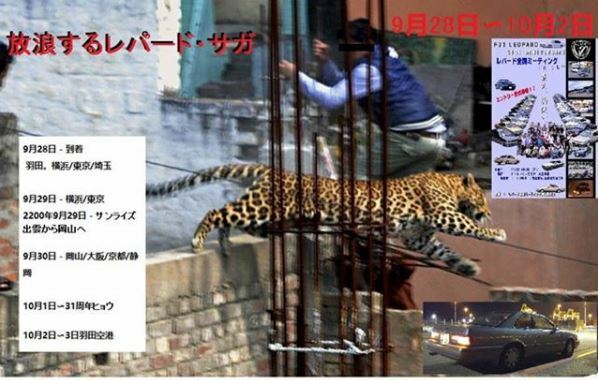 I knew that the Leopard community in Japan would be doing something spectacular. Mr. Kanazawa invited me to Nostalgic 2 days in February (2017), but I couldn’t make it. I didn’t have enough time saved up. But it was a blessing in disguise as Kuze-san had told me that they were planning a meeting in May. The meeting was going to be held in Hakone, a mountainous town. Carshop Friend would host. I didn’t know, but it was mainly for Carshop Friend customers. So when I found out other Leopard owners would not attend, I made it a mission to meet as many Leopard owners before that meeting. 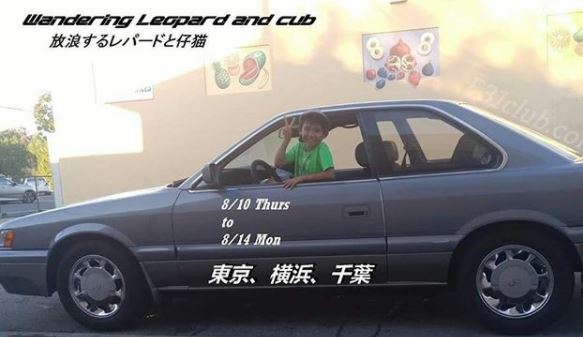 Not only that, but I felt I had unfinished business with a few Leopard owners that I contacted 10 years ago (Yokota-san and Yosuke-san). I also wanted to meet with Taguchi-san and Noguchi-san because they have helped me with F31club. This trip was about meeting people, with or without F31s. After mapping out what I wanted to see and do in the 9 days in Japan, I realized I would be wandering Japan. 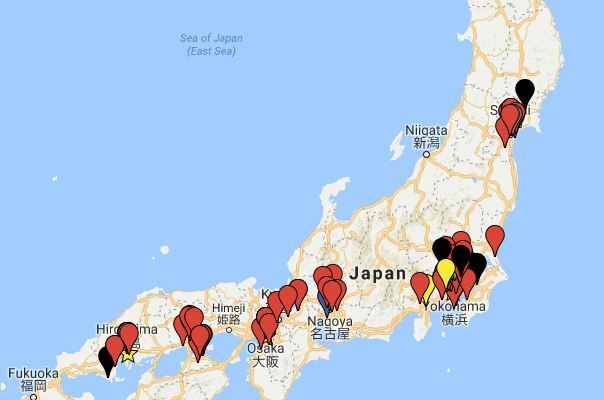 What I didn’t expect was to travel to Japan 2 additional times in 2017. I’ll explain below but it became another symbolic meaning for 31. Below are the 3 times I went to Japan in 2017. Additionally, If I include October 2016 as of this writing (in October 2017), it is actually 4 times within a year. Pilgrimage is the word I always mention when I go to Japan. 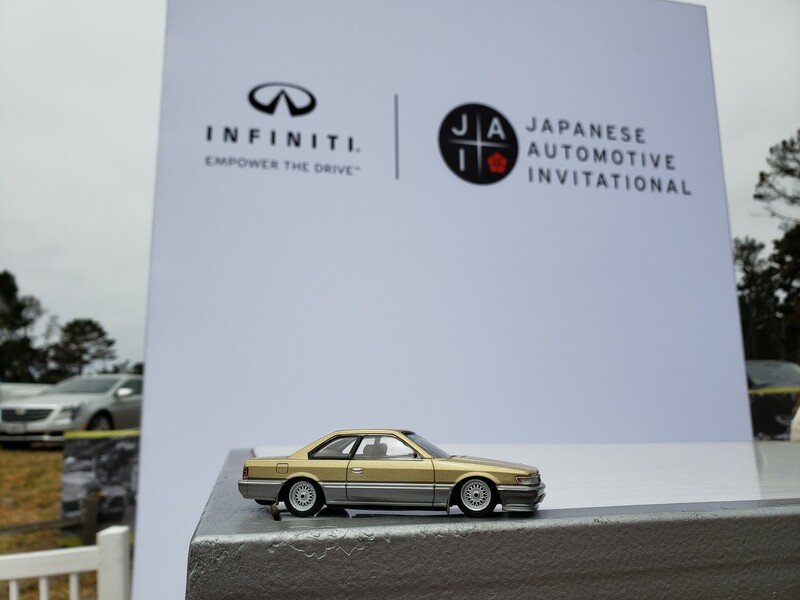 I feel as a Japanese car enthusiast, going to these famous gatherings, shows, seeing infamous tuning shops and cars… it’s paying respect to them. So that is how the name came about. Since the date of the meeting was the end of May, I set up to go around during the week. After I set up the days, I contacted many people and said I will be in Japan and if you give me time, even short, I will make all effort to meet them. Once people confirmed, I based my schedule around their availability. Taguchi-san and Noguchi-san lived the furthest away, but I wanted to dedicate time to meet them because they have helped me so much. It was the least I could do. Also Okuni-san (who I met last year at the October 2016 meeting) said he wanted to meet with me. His friend Ishii-san also said the same. I also met with Leopard owner’s that were not at the October 2016 meeting. This happened out of nowhere. It was just an idea, but became a reality really quick. My son Jacob was celebrating his birthday in the Philippines. My family (wife and kids) would be there almost a month before I would go there for 2 weeks. I asked my son what he wanted to do for his birthday, he said he wanted to go to Japan. My wife didn’t take it serious, but honestly, I kept pushing for it. I’ll take any excuse to visit Japan really, but I had to divide time to see the typical family/tourist attractions, see some history (I love Japanese history) and of course meeting with anyone that was able to. This time I would stay around Tokyo and show my son around. I would mainly focus on using Tokyo Metro’s subway system as much as possible, but JR lines happened. We would look at toys and manga and while I did plan to check out car shops, that part never materialized. I started mapping out what I wanted to see and what Jacob wanted to see. The Pikachu, Pokemon and Shinkansen Festivals were impromptu in my schedule, but worth checking out. I had Dinner with Kuze-san and his daughter Kyoko. Next day I had lunch with Ogawara, Itabashi, Kimura-san. Kimura-san brought Hyogo too (in May I met them). What was cool was that even with language barrier, Kyoko and Hyogo were able to play and goof around with Jacob. 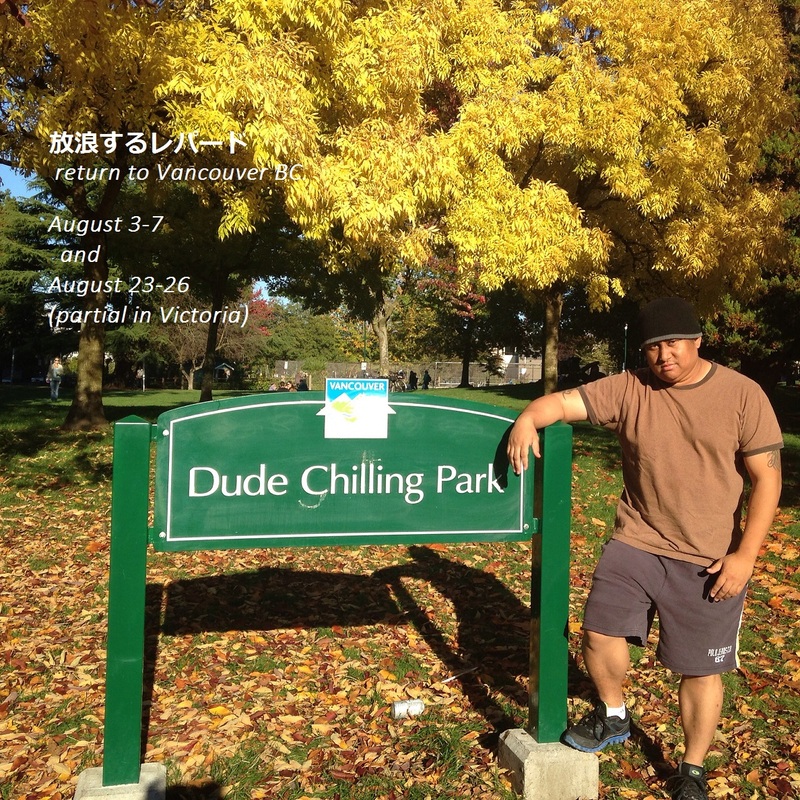 I also had to meet Satoshi-san who was in Hawaii for the last 3 years working. I had gotten in contact with him through Mark. Thursday – Narita Airport, Shinjuku (Godzilla head), Reiyukai Shakaden Hall, Tokyo Tower, Zojo-ji Temple, SL Plaza, and Hakuhinkan Toy Park. 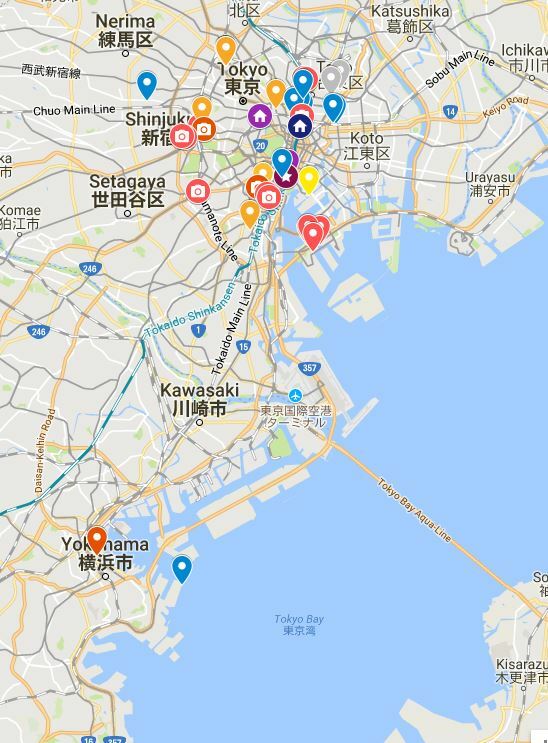 Friday – Akihabara (Tam Tam, Golden Age Toys, Trader 3, Animate, Mandrake), Shikansen Festival, Ryōgoku Kokugikan (Sumo Hall), Odaiba (Trick Art Museum) and Iidabashi mini meet. Saturday- Yokohama – Pokemon Festival, Yokohama mini meet and Iidabashi mini meet. This next picture was a joke, but I showed it to Satoshi-san and he said, “On the loose” which would have sounded better in retrospect. It was good to see Ogawara-san again in August. He came out both times to meet me. Then he sent me a message after I arrived back in the states. Something I had a gut feeling, but wasn’t sure. I knew I had to go. There was also a few important favors that I needed to keep. Again I started planning and I wanted to experience as much as possible this time. Some of the goals I set the previous trips didn’t work out, such as visiting a few shops, was a must this time. This was going it be unique as one of the nights, I would take Japan’s last night train, Sunrise Seto/Izumo from Tokyo to Okayama. This let me cover ground to Okayama while I slept. I would then make my way to Shizuoka for the welcoming party. It was ambitious, but I was able to see 3/5 of the those mentioned. 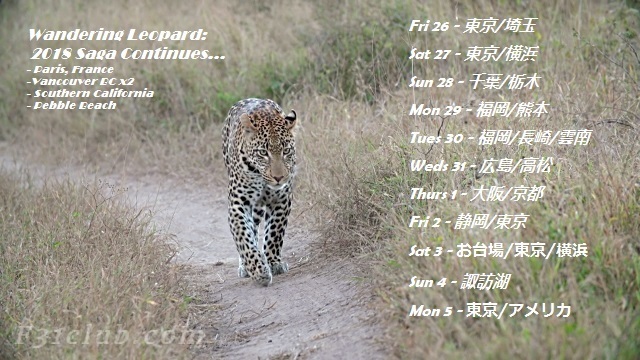 I wanted to do this to say I saw this things as a leopard enthusiast and for F31club milestones. This does conclude my 3 trips to Japan for 2017. My goal was to meet fellow Leopard owners and our relationships have changed dynamically as I’ve met many people a few times. Their perspective of ownership of an F31, their pride into this specific car… made me realize that the few of us (Mark, Renny and myself) fell in love with the right car 12+ years ago. 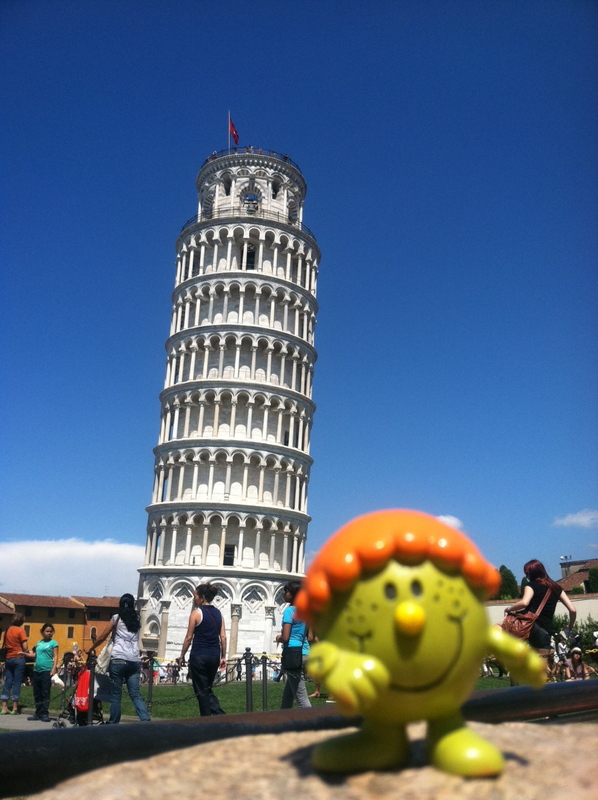 This entry was posted in wandering leopard and tagged #wanderingleopard. ← #Yearofthevert I found a vert boot! !